We've taken our sweet time getting to this one, but there's a lot to get through. Editor Jonathan Rimmer checks out the nineteen track monster that is 'This is Not Pop'. I've always been a fan of Scottish hip hop compilations. I know a lot of people see them as dated but they're a useful way to present the scene to people with only a passing interest (and just to plug, there are five SSU tapes that you can still download). Respected producer Asthmatic Astronaut is of the same mindset. In case you were in any doubt about the depth of talent lurking in Scotland's underground, 'This is Not Pop' features nineteen emcees and not one of them sounds out of place. But just to be clear: this isn't a compilation. This is very much Asthmatic Astronaut's baby, with each cut primed and tailored to a specific emcee (or the other way around - it's hard to tell). Like most artists on the Black Lantern label, the Astronaut is attracted by the weird and esoteric. In fact, he's more akin to a scientist, painstakingly constructing beats to the point where minuscule details are often introduced at the back end of tracks without warning. It might be a switch up in the drums or a subtle countermelody in the synths or even a new sample entirely. With that said, none of the beats here seek to seize the attention away from the emcee. 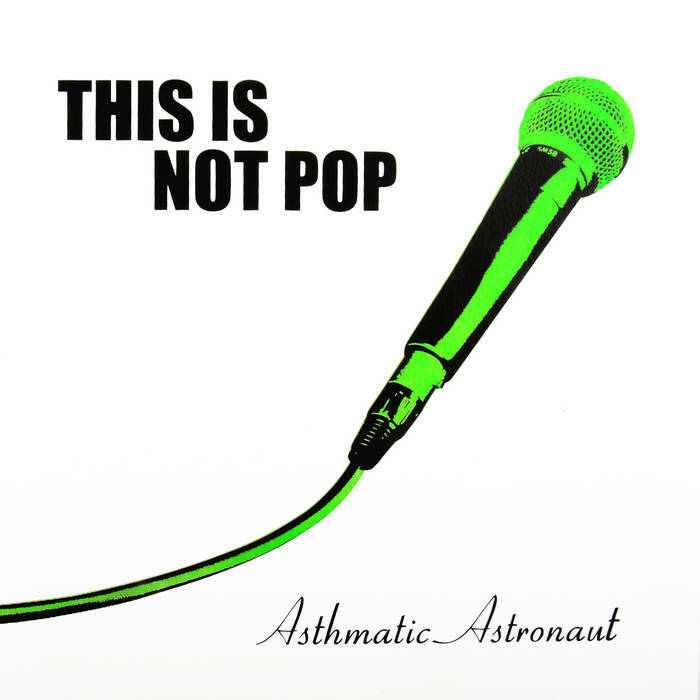 Taking his cues from 90s techno and IDM, Asthmatic Astronaut gives each beat a sense of personality and progression without detracting from whatever the emcee is saying. Unsurprisingly, this minimalist production lends itself way to more introspective rhyming styles. The wonky-inspired Kaczynski compliments Texture's philosophical monologues, for example, while The Bleakest Blues' more kinetic beat suits Solareye (Stanley Odd) intrepid flows and multisyllabics. There are exceptions: Johnny Cypher (Futurology) absolutely steamrollers Split Into Sections with crazy double time, making for probably the best verse on the LP. There's also a seriously catchy hook on the Conscious Route-led Addiction, which perhaps slightly undermines the album title. Other than that, there's a peculiar continuity to the concepts many emcees explore here, leading me to wonder how much editorial input Asthmatic Astronaut actually had. From Ciaran Mac to Lifeshows to The Replicator, a number of rappers touch upon writing in a 'dreamlike' state, the power of imagination or, you guessed it, space. Deliberate or not, it makes the record feel consistently ethereal even from the first listen. In fact, 'This Is Not Pop' is probably the most coherent collection of Scottish hip hop released in the last year. Due to the sheer number of emcees and styles on show, it's a project that could have easily gone pear-shaped. Credit is due to Asthmatic Astronaut for bringing together so many artists and making them work under the same umbrella. Is it a tad long? Perhaps, but there aren't any glaring skippers, which for an album of this type is remarkably impressive.